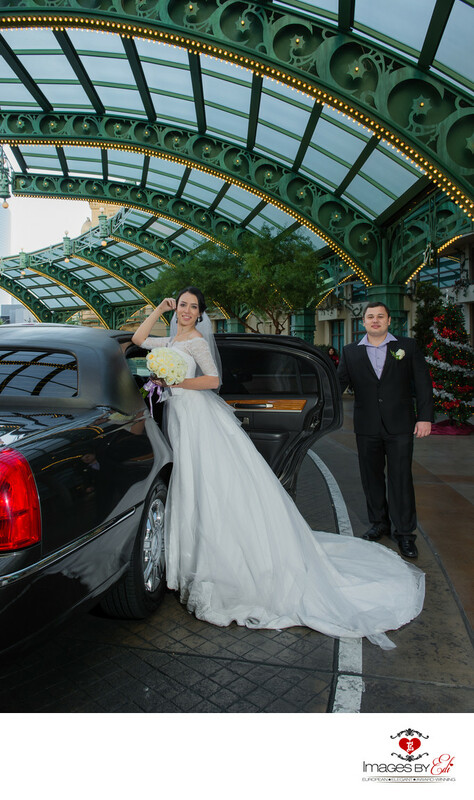 Wedding couple standing in front of their limousine on the Las Vegas Strip by the Paris Resort. Bride is holding her white rose bouquet in her hand. The groom is opening the door for her.Keywords: Images by EDI (300), Las Vegas Strip Photo Tour (144), Las Vegas Strip Wedding Photographer (177), Las Vegas Strip Wedding Photography (183), Las Vegas Wedding Photographer (624), Las Vegas Wedding Photography (642), limousine tour (6), Paris Resort Las Vegas (27), Wedding Couple (204).